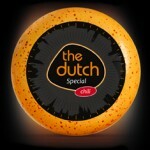 The Dutch Farm Cheese also appeals to fans of a younger cheese. The creaminess of this young “Boerenkaas” is especially appreciated. 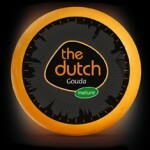 Cheese must be produced directly at the farm. 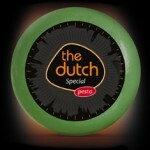 Especially for our The Dutch assortment we selected the best, price winning Dutch farmer “Lekkerkerker”. He produces the best farm cheeses and delivers the cheese to our Dutch warehouses. We ripe these farm cheeses ourselves from young till old. Our Farm Cheeses have the ‘Traditional Speciality Guaranteed’ label, protected by the European union.